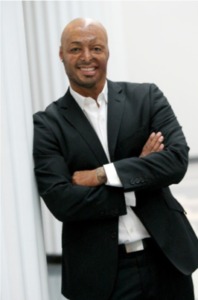 Jose Rene “J.R.” Martinez is an American actor, author, motivational speaker, and retired U.S. Army soldier. In March of 2003, Martinez was deployed to Iraq. In April he sustained severe burns to over 34 percent of his body when his humvee hit a roadside bomb. Since his recovery, Martinez has since become a highly sought-after motivational speaker. He has traveled around the country speaking about his experiences to corporations, veterans groups, schools and other organizations. Martinez began his acting career on the Emmy Award winning daytime drama All My Children . Since then he’s appeared on numerous television shows. Many remember best him as the season 13 champion on Dancing with the Stars . He is the author of the New York Times bestseller “Full of Heart: My Story of Survival, Strength, and Spirit”. Martinez serves as a spokesperson for Operation Finally Home, as well as for the Phoenix Society for Burn Survivors, and Glasswing International. Steve Booth is a retired Sergeant with the Orange County Sheriff’s Department. Steve retired after 35 years on the job. Steve started AAT work in May 2015. 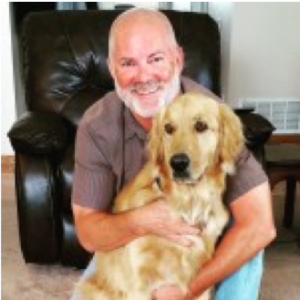 Steve and his golden retriever, Henry, have made over 285 visits as a Therapy dog, Crisis Response do and Trauma dog. Over the last year as a Crisis Response team, they have responded to San Jose for the Coyote Creek Flood, Santa Rosa for the Tubbs fire, Ventura for the Thomas fire, Montecito for the mudslides and to Rockport, Texas for Hurricane Harvey. Steve was recently voted in as the Regional Director of the Pacific Southwest Region of HOPE AACR. 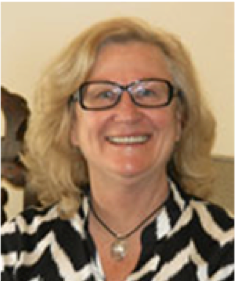 Dr. Brunton is the chief psychologist for Focus Psychological Services, which she founded in 1984 to provide clinical services to first-responders in the San Diego area. She is the chief psychologist for San Diego Police and Fire-Rescue Departments. For more than 30 years, Dr. Brunton has counseled hundreds firefighters, police, paramedics, EMTs, and civilian public safety employees and their families. In addition, she provides consultation and training on issues such as critical incident stress management, PTSD, workplace violence prevention, organizational consultation, and conflict management. 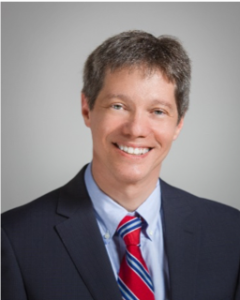 Dr. Brunton has over 20 years of experience in the assessment, management, and treatment of acute psychiatric patients including those at risk for violence as the clinical supervisor for inpatient psychiatric centers. 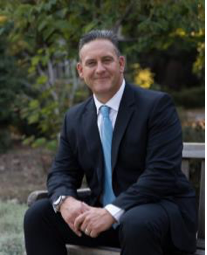 Dr. Brunton has been an invited participant to the Federal Bureau of Investigation’s symposia on police psychology and is certified in hostage negotiation through the Administration of Justice, California State University, San Jose. She has extensive experience in workplace crisis and trauma intervention, and alternate dispute resolution. 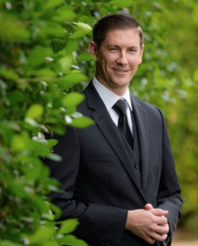 Robert has been working with the community professionally within the field of psychology for 24 years. He completed his undergraduate training in psychology at Florida State University and successfully completed a doctoral program accredited by the American Psychological Association (APA) in clinical psychology at Carlos Albizu University in Miami, Florida. He completed his doctoral internship at one of the largest state hospitals that housed the “criminally insane” within the Central United States. He currently owns and has developed his training and consulting business, SIMCIP GROUP Forensic-Psychological Consultants, located in Pembroke Pines, Florida. Dr. Cipriano is currently a Florida Licensed Psychologist. He is board certified in Police and Public Safety Psychology by the American Board of Professional Psychology (ABPP) and for the past decade had also worked as a Police Psychologist for Miami-Dade Police Department (MDPD). In that role he served as a consultant for the Special Response Team (SRT -also known as SWAT) and provided expert training and developed strategies for effectively working with and understanding the “criminal mind.” He assisted the team in gaining insight and managing individuals who suffered from severe mental illness and who were in crisis. Additionally, he provided critical support to the crisis negotiation team when they were faced with crisis situations, hostages, career criminals, and barricaded subjects who posed a threat for police and the community at large. He currently provides therapeutic and as needed clinical services to both the Trauma-Intensive Care Unit (ICU) and inpatient behavioral health units at Aventura Hospital and Medical Center (AHMC). Dr. Cipriano also provides on-going behavioral health training and critical incident stress debriefings (CISD) for a variety of staff at AHMC. Dr. Cipriano has handled well over a 150 CISDs’ in his professional career and was recently called upon to assist Jet Blue Airlines following a critical incident involving a gunman killing five civilians and injuring numerous others at Ft. Lauderdale International Airport in Ft. Lauderdale, FL which gained international attention. He has also assisted in aiding victims of the recent school shooting in Parkland, FL, their families, and first responders affected by & connected to the critical incident. 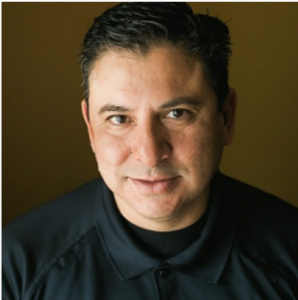 He provides EAP services for the Drug Enforcement Administration (DEA) and United States Postal Inspection Service (USPIS) agents and civilians (both sworn and non-sworn) in managing an array of critical incidents over the past several years. Dr. Cipriano also offers expert training in understanding the psychological dynamics and warning signs of active shooters, school shooters, school place violence, and bully behavior. Dr. Cipriano has a strong interest in this area and has developed a clinical curriculum to target, intervene, and potentially prevent such acts along this specific spectrum of aggression. His knowledge, experience, and expertise will benefit clinicians, educational institutions, administrators, public safety professionals, and the private sector on a local, state, and national level. Steve has greatly enjoyed his fire service career. He started as a Volunteer in BDU and worked a season with the Forest Service and as a seasonal in RRU. In 1989, Steve worked for the Banning City Fire Department until 1998 when he returned to CAL FIRE. He has worked primarily in RRU with various assignments including the Camp Program, Training Bureau and Fire Protection Planning. Before becoming the ESS Southern Program Coordinator, Steve served five years as the Fire Marshal in RRU. 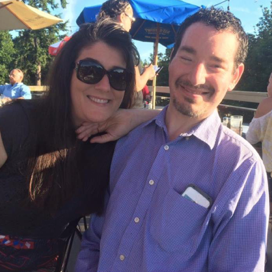 Being part of the Employee Support Services Team is a passion for Steve. His involvement with the California Peer Support Associations and the International Critical Incident Stress Foundation is a perfect fit. He is proud to have been instrumental in starting a Chaplain Program for Banning Fire Department and continues his work with the Big Brothers organization as well as involvement with the Community College Mentoring Program. Captain Fleming has been deployed overseas 6 times with the U.S. Army’s elite 75 Ranger Regiment in support of both Operation Enduring Freedom and Operation Iraqi Freedom. He has been wounded in combat on three separate occasions and has undergone 23 surgeries, one of which resulted in a trans-tibial amputation of his left leg. While most would assume this type of injury would conclude someone’s service to their country. Captain Fleming has re-deployed five times since his injuries, each time going right back into the fight. He is one of the few amputees who have been able to redeploy into combat as an amputee. After serving with distinction and receiving numerous awards and decorations including the Meritorious Service Medal, Two Bronze Star medals with Valor and Three Purple Hearts, he retired from active duty and still serves our country in other capacities. He has completed marathons, triathlons, tough mudders and cycling events throughout the United States and is also a sought after inspirational speaker. Numerous Fortune 500 companies have asked Chad to bring his message of resilience, perseverance, and his “Never Quit” attitude into their companies to help build their corporate teams. He is a Board Member for the “Lone Survivor Foundation” and travels around the country as part of Marcus Luttrell’s Patriot Tour! He was a vital part of the 2010 Olympic Hockey teams run for the Gold Medal. Captain Fleming has spoken to both college and professional sports teams, and he is the spokesman for Under Armour’s “UA Freedom” initiative, a corporate initiative that raises money and awareness for our nations wounded veterans. Rabbi Cary A. Friedman is a chaplain and motivational speaker specializing in law enforcement-related issues. 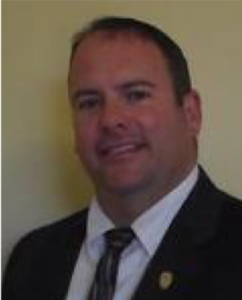 A consultant to the Behavioral Science Unit (BSU) of the FBI, he has been featured on several FBITN “satcasts” addressing “Communities Answering the Call: Ministering to First Responders.” He has been a presenter and featured speaker at the FBI “Spirit of the Law” conferences and has addressed LE audiences across the USA, for the FBI, Cop2Cop, and other law enforcement and first responder organizations. A member of ILEETA, Rabbi Friedman is an ordained Rabbi and the author of five books. He holds a master’s degree from Columbia University and resides in Central New Jersey. Jack Harris conducts training on a variety of topics aimed at Helping Keep Good People Good. 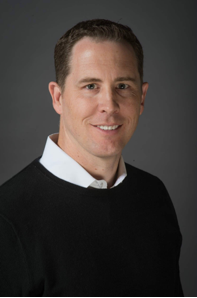 His combination of law enforcement & management experience, behavioral science background and a passion for practical solutions, allows Jack to help people skills they can apply to everyday, real-life situations. He began his law enforcement career with the McDonough County Sheriff’s Department in Macomb, Illinois. He then spent twenty-years with the Tucson, Arizona Police Department; where he held a variety of operational and administrative command assignments. Jack is a Licensed Professional Counselor (by the Arizona Board of Behavioral Health Examiners), Board Certified Expert in Traumatic Stress by the American Academy of Experts in Traumatic Stress, is EMDR trained, and approved instructor for the International Critical Incident Stress Foundation (ICISF) and a trained mediator. He holds a Master’s Degree from the University of Arizona and a Bachelor’s Degree from Western Illinois University. Deana Kahle, M.S. is a Licensed Marriage and Family Therapist (MFT99258). 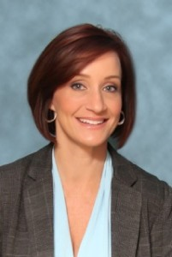 Deana earned her Master’s degree in counseling psychology from California Baptist University. She is certified in Critical Incident Stress Management (CISM), Eye Movement Desensitization and Reprocessing (EMDR) and Police Officer Standards of Training (P.O.S.T.) instruction. Deana has experience working with adults, couples and children with specific expertise in the areas of substance abuse and addiction as well as Cognitive Behavioral Therapy (CBT) intervention. Deana provides Peer Support training and other TCTI class offerings around the country for numerous agencies including the Federal Air Marshal Service. She also provides Critical Incident Stress Debriefings (CISD) for law enforcement, fire personnel and other first responders and responded to major incidents such as the LAX shooting and Big Bear Manhunt in 2013. Working for TCTI, Deana provides marriage, family, child and individual therapy to governmental agencies, city personnel and their families out of the San Bernardino office. Michael is a 19-year police veteran and spent his final 10 years as an undercover narcotics detective. During his career, Michael sustained physical injuries and subsequently became dependent on opioid pain medications. His addiction spun out of control ending in the loss of his career, bankruptcy, divorce, serious criminal charges and identity. 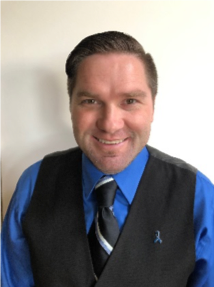 In 2012, Michael began a new life in recovery starting in an inpatient treatment center followed up with a year of intensive outpatient therapy, (IOP). Michael started a 12-step recovery program and as he recovered knew that his experience, strength and hope could benefit others suffering from alcohol and drug dependence. 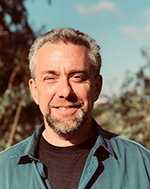 Michael went back to school and obtained certification as a drug and alcohol counselor, (CADCII) and spent 2½ years working at a sub-acute detox. Michael started working as a counselor at an IOP in Encinitas and began a first responders weekly fellowship in 2017. He began reaching out to other first responders suffering from alcohol and drug dependence and formed working relationships with first responder peer support groups and wellness units in San Diego County. Michael’s main goal is to spread awareness and break the silence of substance use disorders among first responders. Breaking the stigma of addiction and allowing for a better understanding of the disease. He wants those suffering to know that there is a way out and that they do not have to face the same fate as he did. Michael knows what it is like to be the rescuer and what it is like to live a life free from addiction and working a positive program of sobriety. Jared started his career in law enforcement at the young age of 21 with the Phoenix Police Department as a reserve officer. Jared got into law enforcement at the height of the housing crisis when no department was hiring full time officers. Jared worked as a full time reserve police officer volunteering his time with no pay while also juggling a full time job for three years. In 2014 he was hired full time by the Salt River Police Department as a patrol officer. He is now a detective in the intelligence unit but also moonlights as a negotiator on the SWAT team, a mental health instructor, a drone operator and a CISM peer support member. Jared got married in January of this year, has a stepson and three dogs. Mike was a Coeur d’Alene, Idaho police officer who suffered a near-fatal debilitating injury in the line of duty. After being shot in the face with a .357 Magnum, Mike was in a coma for several weeks and awoke as a quadriplegic. While Mike’s message is inspirational, and motivational, he also shares some practical lessons to help other public servants be better prepared for overcoming adversity and from suffering a similar fate. This motivational message has been shared with many around the country, to include: Concerns of Police Survivors, United States Park Service Rangers, Fraternal Order of Police Legislature, the FBI and Universities on the “traumas of law enforcement” and “the aftermath of a critical incident.” The awareness he brought to the forefront, as a keynote speaker on emotional survival, resulted in the International Conference of Police Chaplains naming Mike and Carrie honorary lifetime members. Mike has an Associates in Applied Science in Electronics and is United States Air Force veteran. Angie McCown is the Texas Department of Criminal Justice, Victim Services Division Director. She is a consultant for the Department of Justice, Office for Victims of Crime in victim services curriculum development and training. She is a volunteer and consultant for Concerns of Police Survivors, assisting with National Police Week in Washington, D.C. and providing counseling mcat the COPS Kid’s Camp and Family Retreats to survivors of law enforcement line of duty deaths. Angie is a licensed Family Therapist and is certified in Eye Movement Desensitization and Reprocessing (EMDR). 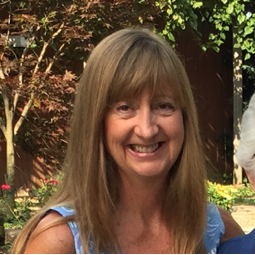 Angie has over 30 years’ experience in the victim services field and working with law enforcement families, and she chairs both the American Probation and Parole Association and the American Correctional Association Victim Issues Committees. Mike McGrew is a 30 year veteran Sergeant of the Santa Barbara Police Department. He comes from a long line of firefighters and police officers who have served the public for several generations. His Father is the retired Fire Chief of the Santa Barbara City Fire Department. 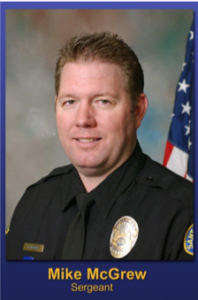 Sergeant McGrew has served the Santa Barbara community as a Patrol Officer, Burglary Detective, Major Crimes Detective, HNT hostage negotiator and HNT supervisor, Major Crimes Detective Sergeant, Motor Sergeant and he is currently assigned as a Patrol Sergeant. Sergeant McGrew is the on the board of the Santa Barbara Police Officers Association and serves on the board of the Santa Barbara Police Foundation which assists the department in providing needed equipment and also assists police officers and their families during catastrophic events. During Sergeant Mike McGrew’s career, he has investigated numerous high profile and serious cases and has been involved in over 120 homicide investigations. He has received the Medal of Valor twice, Outstanding Performance Award, two time Optimist Law Enforcement award, the Santa Barbara County Life Saving Award, as well as hundreds of commendations. Sergeant McGrew lost his youngest son, Michael, six years ago after a lengthy battle against bone cancer. As a police sergeant, Mike has had amazing opportunities to use his life experiences to help fellow police officers as well as several citizens in need. Mike has seen first-hand the value of receiving and providing peer support as a first responder. 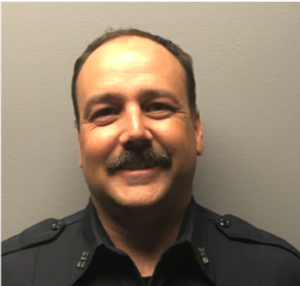 Kevin Molloy works as a Fire Captain for CALFIRE Riverside Ranger Unit for the past 12 years and currently is the lead for their units Peer Team. Kevin has been with the local team since 2013 and has been part of the local as well as states Peer Support/CISM missions ranging from LODD’s to daily employee Employee Assistant Programs (EAP) needs. Kevin is trained in both ICISF advanced trainings as well as in IAFF’s behavioral health modalities. Kern County – Erskine Fire. Federal/State CISM deployment. Santa Rosa California – Central Complex Fire Peer Support team deployment. Ventura/Santa Barbara/San Diego – Thomas Fire LODD Peer Team deployment. Monticito California – Mud Slide Peer Team Deployment. CALFIRE has had a CISM/Peer Support program since 1987, policies in place since 1994 and an Employee Support Services Division for the CALFIRE employees state wide. Mynda Ohs, Ph.D. is a Licensed Mental Health Professional (MFT 50291) for The Counseling Team Intl. She currently works at TCTI’s Headquarters office in San Bernardino, CA providing 24-hour on-call Critical Incident Debriefings. She has worked several critical incidents involving police and fire departments, including the recent fatality debriefs of Tanker 81 in Yosemite, Twisp Fire, Six Rivers (off duty), Modoc, and the Occupation of the Malheur Wildlife Refuge. While working these incidents, she integrated into Interagency Incident Management Teams to provide mental health services. She played a major debriefing role of first responders to the San Bernardino Shootings. Prior to joining TCTI, she worked in EMS as an EMT for Life Care Ambulance and was an ER Tech at Community Hospital of San Bernardino. Not only does she have over 14 years of experience working in the field of crisis intervention and suicide prevention, but has been married to a Battalion Chief for 20 years. This has given her a unique perspective of living within the first responder community and family, while adding to her education and professional experiences. Marie was raised in the City of Downey and graduated from Downey High School in 1989. Marie began her law enforcement career as a police dispatcher 28 years ago with the City of Downey. 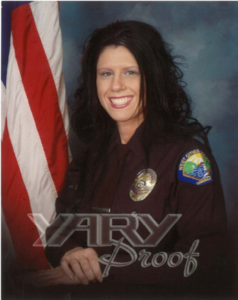 In 2001, Marie lateraled to West Cities Police Communications (more commonly known as West-Comm) located in the City of Seal Beach. West-Comm is a Joint Powers Authority and offers police dispatch services for the cities of Seal Beach, Cypress, Los Alamitos and the Orange County Park Rangers. In 2006, Marie was promoted to Lead Dispatcher. She has received several awards including Dispatcher of the Year in 2010. 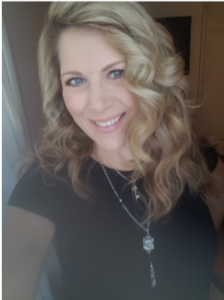 Following the Seal Beach salon tragedy at Salon Meritage, Marie introduced a Peer Support Program to her agency and became the coordinator for the West-Comm Peer Support Team to assist employees in dealing with the painful aftermath. In 2017, Marie became the coordinator for both West-Comm and Seal Beach Police Department Peer Support Teams. This program has proven to be extremely beneficial and valuable for both agencies. Marie currently resides in Huntington Beach with her two sons. 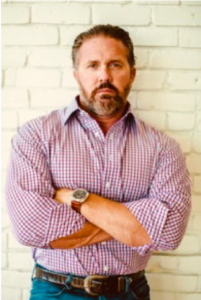 Bruce is the co-founder of Lexipol and a partner with Ferguson, Praet & Sherman, a law firm with over 30 years of specializing in defending police civil matters such as shootings, dog bites and pursuits, while representing management in personnel matters. Bruce started his law enforcement career in 1973 as a police officer in Laguna Beach. In 1974, he moved to the Orange Police Department where he worked Patrol, Detectives, SWAT and K-9. After finishing law school, he went to work as an Assistant General Counsel to the Los Angeles Police Protective League and later served as an Assistant City Attorney for the City of Orange, exclusively handling police litigation. 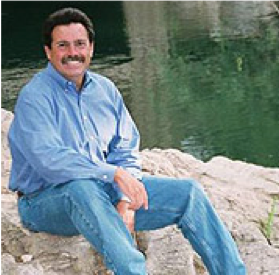 Bruce has been heavily involved with POST committees and curriculum and is a frequent presenter to federal, state and local law enforcement groups across the country. Originally from Arizona, Chuck Price has lived in California since 1983. He received his BS in Business Management from Arizona State University and his Masters from Bethel Seminary. He is blessed to be married to Helen for over 29 years. 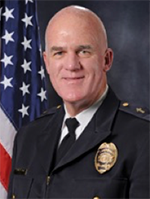 He began his chaplaincy with the San Diego Police Department in 2001, joined the El Cajon Police Department in 2008 and added Coronado PD and the FBI in 2017. His passion is to care for law enforcement professionals and has done so by logging thousands of hours with 500 different officers on more than 1000 ride-alongs. I am a single Dad and have two sons, one daughter, one granddaughter and my dog “Rocky”. I’ve been through a divorce- wasn’t easy but very few are. I have been in the Fire service for 26 years now, FF, PM, Engineer and now Captain for last 10 years. I have been involved in Peer support for 16 years and have realized the true value of being a part of this program. It has been a privilege to have this career as a Firefighter but truly an “Honor” to have been able to be of service to my fellow brothers and sisters in uniform within the LA. County Fire Dept., outside of the county and even within our own Peer Support team. I have had opportunities outside the LA County Fire Dept. to be of service in a Peer support role which include- Prescott Fire Dept. in Arizona ” Granite Mountain Hotshots”, CAL Fire San Diego “LODD”, Douglas Co. Fire in Oregon “UCC College shooting”, Ketchum Fire Dept. Idaho, Beverly Hills FD, Culver City FD, Downey FD, Santa Fe Springs FD, Santa Barbara FD, Manhattan Beach FD, Montecito FD, Newport Beach FD “Lifeguards” Orange Co. Lifeguards, Hawthorne Police, Inglewood Police which has provided me with a wide variety of critical incidents as well as one on one peer support experiences. I have been involved in training peer support to several Fire Departments outside of California which include Milwaukee Fire, Wisconsin, Medford Fire, Roseburg Fire and Douglas Co. Fire Dist. 2 in Oregon. In May of this year I was accepted to be an Instructor with the IAFF (International Association of Fire Fighters). I am one of your Executive Board of Directors with the PSPSA and I am honored to be working with a great group of folks who are passionately driven to serve. Dr. Small is board certified in psychiatry, family medicine and addiction medicine. 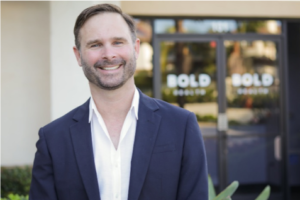 He is co-founder of Bold Health, a medical group specializing in personalized psychiatric care, primary care and addiction medicine in Encinitas. He is a graduate of the University of Hawaii John A Burns School of Medicine. He completed a combined residency in Psychiatry and Family Medicine residency at UCSD. Dr. Small’s treatment philosophy is founded upon the idea that empathy and self-empowerment are fundamental to the successful treatment of substance use disorders. Dr. Small utilizes the latest in evidenced-based medical treatment to treat addiction. He is also skilled in treatment to treat addiction. He is also skilled in treatment of dual diagnosis clients, outpatient detox, and other psychiatric disorders. 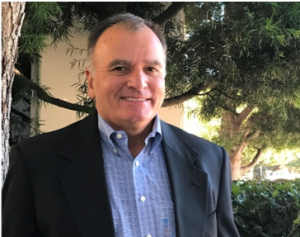 Jonathan Wilby is the Risk Manager of the Orange County Fire Authority, a regional fire service agency that serves 23 cities in Orange County California and all unincorporated areas. He studied safety and health management at Central Washington University and Industrial Hygiene at Montana Tech of the University of Montana and proceeded to provide safety consultation to over 100 manufacturing companies and worked as an Aerospace Engineer in Seattle Washington. 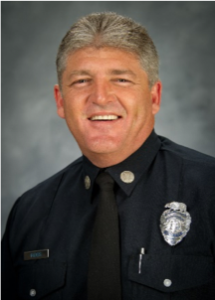 Jonathan relocated to Southern California in 2006 after being hired by the Orange County Fire Authority as the department safety officer and he was promoted to Risk Manager in 2013. The risk management department is responsible for occupational safety and health, workers’ compensation, general liability and insurance, and the wellness fitness program (WeFit). He is passionate about firefighter safety and health and has spearheaded the organization’s cultural shift in cancer prevention and behavioral health. Perry is a Supervisory Special Agent with Homeland Security Investigations (HSI) in Los Angeles. During his 23-year law enforcement career, Perry served in key HSI leadership positions in Chicago, Washington D.C., and Los Angeles and has led significant domestic and international investigations utilizing his expertise in financial investigations, cybercrimes, computer forensics, crimes against children, and undercover operations. On February 16, 2012, Perry was involved in a deadly workplace violence shooting inside the Long Beach Federal building and had to take lethal action against a special agent who just shot another special agent during a meeting. The FBI concluded that Perry’s heroic actions not only saved the lives of the critically-wounded agent and himself, but countless others who were inside the federal building during the time of the incident. Perry will share his story of emotional survival after this tragic event and provide practical tips to enhance peer support to PTSD and trauma survivors. Perry earned BS degrees in Finance and Economics from California State University at Hayward and a Master’s Degree in Public Administration from DePaul University, Chicago, IL. Jason has been a police officer with the San Diego Police Department for 13 years. He was diagnosed with stage 3C rectal cancer in June of 2016. After multiple hospitalizations including a stay of 57 straight days at Sharp Memorial Hospital his dependency for opioid medication began. Today he will discuss the beginning of his medication regimen and ultimate turn of addiction to the prescribed medication.